Correct me if I am wrong, I believe that the web address www.tadaoando.com and www.tadaoando.net do not belongs to Tadao Ando. I checked with the whois info online and found that it was actually registered by a Korean guy, kind of weird. I once read that the Japanese are not so into the internet compare with other countries, maybe this is one reason why Tadao Ando yet to have an official website, then again I might be wrong. If that is not Tadao Ando’s official website, then it is called cyber-squatting. It’s a crime. Can someone out there enlighten me with some information? Is that Tadao Ando’s official website? Few years ago when I check with the ICANN, famous architects like Frank Gehry and Antonio Gaudi (deceased long ago) yet to have their domain name registered. It’s kind of weird that it takes them ages to have their domain name registered. If you think these cyber squatters registered only then try these url www.tadaoando.com and www.tadaoando.net, and I think its an insult to Mr.Tadao Ando. The web address www.tadaoando.net is promoting some kind of architecture or wine mosquito product, am not sure, while the address www.andotadao.org belongs to a guy from korea again. Displaying his collection of images of ando’s works. Its all about making money online. If you own a trademark and find that someone is holding it hostage as a domain name until you pay a large sum for it, you may be the victim of cybersquatting. You can either sue to get your domain name — and possibly some money damages — under a 1999 federal law known as the Anti-Cybersquatting Consumer Protection Act, or you can initiate arbitration proceedings under the authority of the Internet Corporation of Assigned Names and Numbers (ICANN) and win the name back without the expense and aggravation of a lawsuit. Cybersquatting means registering, selling or using a domain name with the intent of profiting from the goodwill of someone else’s trademark. It generally refers to the practice of buying up domain names that use the names of existing businesses with the intent to sell the names for a profit to those businesses. Update: Finally, Mr.Ando has his own website. 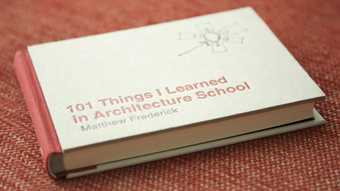 Just like most of his architecture, the website design is simple. His company’s official name is ‘Tadao Ando Architect & Associates‘. As for his email and phone number, you’ll have to do a little digging to get it. For privacy reasons, I don’t think I should share them. I noticed a building in scaffolding in Venice with signs bearing Mr. Ando’s name. The renovation of Punta de la Dogana and the Teatrino of Palazzo Grassi. I am an architect student from Valencia (spain). I am now in osaka and I haved visited lots of his works here in japan. After of loock for his studio more or less 2 hours because the people don,t speak english, I arrive to the studio and one woman say me that I can not visit the studio. Is the first time that happens this to me because in the studio of GMP in beijing or in Foster and Partners in london they did not have problem in show me a little part of the studio. I think that they would have any detail with the foreign students, the peolpe who admires tadao ando, and spain is no very near (20 hours by plane). hi emilio, may i request from you the complete address of tadao ando’s studio address. thanks you and regards! Hello! I´m an architecture student from Madrid (Spain) and I´m planning a visit to Japan. I´d like to visit Ashiya and the Koshino House, wich I consider a master piece. Does anyone know if it could be visited? hello! i am an architecture student from albania.and i am thinkin of an euro trip and i just want to know what pplace its worth to visit.i want to know what should i visit i Prague or in Viena or in Budapest in Venecia etc.I want to know too if its posible to visit any architecture studio. 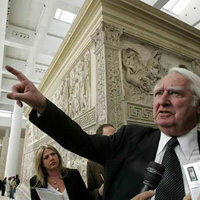 Can you please transmit this message to mister ANDO? “Hello im mister Vedrine from France and i have Jean Prouvé sun shutters to sale. 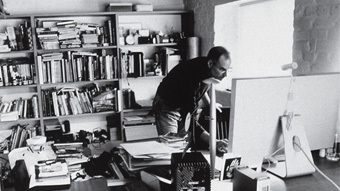 I ve heard you were a lover of his work, so i give you the information, we never know…. I can send you pictures if you give me a mail adress where it s possible to. Thoses sun shutter come from the facade of an hospital in Nancy (the town of jean Prouvé)and are made of aluminium. i am a student of architecture in bangladesh. its tough for me to visit Japan whenever i wish. but still i have a strong desire to visit Japan as i love Japanese architecture a lot. i hope i’ll get your help when i’ll be able to meet my dream. thanks. Hi, I´m Eduardo from Brazil and I´m doing a work in my university about Tadao Ando, I read many books about Tadao and I´m looking for more books and news about his works. Could some body send it by e-mail to me please? Thanks! Hello, I am a student from the Illonois Institute of Chicago in Chicago, Illinois. I am doing a research and model project on Tadao Ando and the Koshino House. If you could send me any information about Tadao Ando, the Koshino House, dimensions, sections, elevations, plans, progressive drawings, his other works, and anything else you think might be helpful for me to know, that would be greatly appreciated. Thank you very much. I’m studying at Politecnico di Milano and I’m doing a course with Proff. Alberto Aschieri. 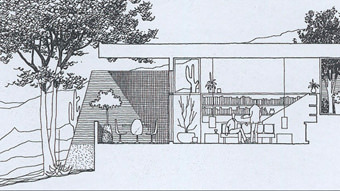 I need informations about Ando’s first project: Tomishima House. and every informations that you can give me. Hello, i am a student from Portugal and i am working on a project about Tadao Ando, the “Rokko Housing I and II”, but i can’t find any plans of the project. Can someone e-mail me the plans please? Thanks. i am an architecture student in india. if u have proper documentation then can u please email it ? hello, I’m a student from Milanand I’m doing a research about the “mauseum of wood” by Tadao Ando. Can you give me some information about it, please? 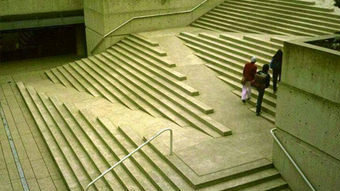 i am an architecture student in fourth year(2010) India (Gujarat). hello,um an architecture student from BANGLADESH.I strongly desire to do my internship in TADAO ANODO ARCHITECT & ASSOCIATES.i tried a lot to manage his official website address…but i failed. i will be very thankful if i could be informed about the internship details………. i am a student of Architecture from Bahrain and i am working on the Rokko Housing too. I can’t find any plans of the project. I would be really thankful if any one can e-mail me these plans. I hope to meet Tadao in my country . Hello, i am a student from Politecnico in Milan and i am working on a project about Tadao Ando, the “Rokko Housing I, II and III”, but i can’t find any plans of the project. Can someone e-mail me the plans please? Thanks. Hello, I’m an architecture student. I am studying the 4×4 master Tadao Ando. I have already developed many products, such as plans, elevations, sections, 3D, now I’m developing the axonometric, and perspective. I would ask if you had the stuff about perspective views. Thanking you look news by email, also not positive. hi, im an student from argetina and I would like to know if its possible the adress of the iwasa house, in Ashiya, Hyogo, Japan. please give me a information of toado ando! hi.i am a studeny from iran.i am working on your kidosaki house project.please give me information and photos,thank you. Good morning , I’m student 1st year in the national school of architecture in France , Could you send me the plan structure of Pulitzer Foundation for the Arts, St. Louis, Missouri, USA ? I am a student of architecture and i am running a work on Tomishima house-Tadao Ando-Osaka 1973. Can you please help me how to find the prospectuses and plants? Howdy, I’m an buildings college student. We are checking 4×4 master Tadao Ando. I’ve got by now produced a lot of products and solutions, for instance plans, levels, portions, 3 dimensional, at this moment I’m creating a axonometric, in addition to standpoint. I’d personally discover you had the goods in relation to mindset opinions. Thanking you appear news by simply e mail, also certainly not optimistic. 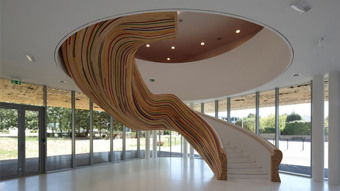 vive le grand architecte tado ando,artiste de notre siecle….. I ,Salem Antonios Abou Halloun, graduated with distinction in 2001 with a master s degree in Architecture. With eleven years of professional practice in the field of Architectural Design, Graphic Design, and Models building and my participation in international conventions such as American Institute of Architects AIA seminars in Los Angeles, Cityscape Exhibition in Dubai as well as building models of Dubai Land, I gained a lot of experience in conceptual design for projects, perspectives, animations and presentations. Why is everyone asking Tadao Ando on this page to help them get information. 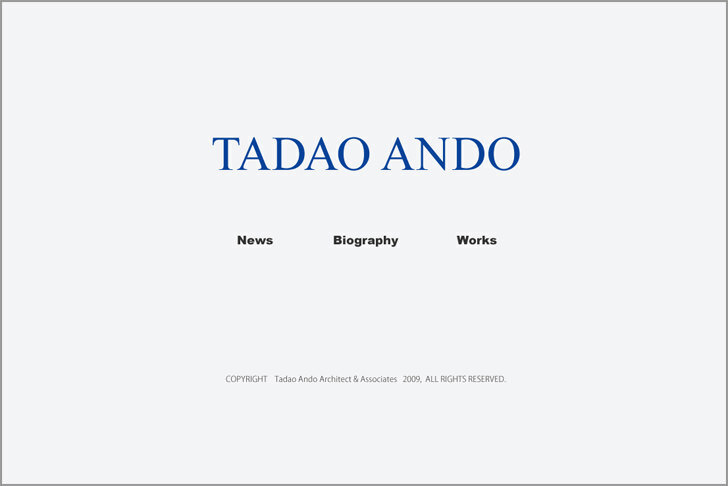 This page was only intended to find the offical website of Tadao Ando. Most of you are just wasting your time because you think this blog is actually the official site. I don’t think ando is active online, thus he probably doesn’t have an email address. Hi, I am looking to apply for an internship with Tadao Ando and Associates, but I am not able to get any leads on a valid email address or contact information. Do you happen to know the firm’s email address for me to contact them? Would be of great help. Thank you! more often than not, the email address is the technical department email address. you can blindly email by changing the info@ to admin@ or something related. I’m living in Iran. I am an architecture student. I am preparing my dissertation. Theme is desert architecture. I’m glad you can express your point about desert architecture. Or introduce a sample as case study. Your perspective can be useful in my design. I am looking for contacting you to ask you about a drawing i made based on you. My name is Yannick Martin. I am a French architect and graphic designer. I hope that you can get this message. I first would like to tell you that I really like the architectural works that you produce. It’s always a great pleasure for me to discover your realisations. I then decided in one of my work to produce a graphic based on a photo that someone made for you. I am very happy to share with you the final graphic that I did and hopefully you will like it. I will of course be very happy to hear your comments on this work. I also would like to know if it is ok for you if I try to sell this graphical work like I want to do it for the others I made. If you don’t like it and don’t want me to use it I will of course understand and respect that. Please let me know your reason maybe, to not allow me to use it, or if there is anything i could do to have the possibility to do it. Also, I understand that you are very busy with your work and that you will maybe not have the time to answer to my little request. Then, I guess I could also believe that this request I do to you is not so important for you in consideration of all the others you should have everyday, and will then consider after a month that it mean that it doesn’t matter for you if I continue to try to distribute my graphical work made of cube, using as well the one I did of you. So please, let me know if there is anything. 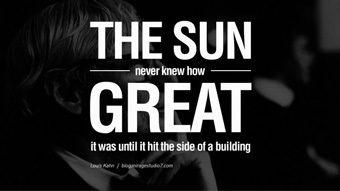 I want to wish you to continue to have a lot of success and to have the opportunity to continue making great buildings. Thank you very much for your time and interest and apologize for my English, probably full of mistake. I have recently completed my bachelors in Architecture and I wish to apply at the firm Tadao Ando architect and Associates. How can I get the valid email address to contact the firm? It would be of great help. Thank you. It seems that I’m the first to comment this year. Sorry to interrupt you and your teams’ busy work,even though I don’t know who will see this letter,but please take a look at it . such as an apartment stands erectly on a water fall（later I thought they are difficultto fuse properly)or a concrete-architecture inside a huge glass box outside or a build has just two crossed stepladder on first layer.No matter what build,they are really beautiful and full of life in my dreams. contain sense of cool-headed and 4×4 can be a home for my spirit.4×4 also contains your recalls of the earthquake happened there.and I will never forget it。So it has been 3 years since then. Why do I write this message toyoubut for other architects.Firstly I watched the film “The architecture of Ando Tadao Poems” .You are a man who dares to take responsibilities.You are kinded in daily life and strict at work.Also Chinese colledge produced mostly wufengjin but not the wufengjin. Then I‘m in a single parent family and family is not rich,my mother raise me up since I was a child.I don’t want to see my mother to bear the bitter herself.I want to find a way out. You have ever said that” many lucky things seem to be fortunate,in fact are related to his own affection and persistence,it moves the God.Thanks to the God helping behind.”So I hope you can be my God. 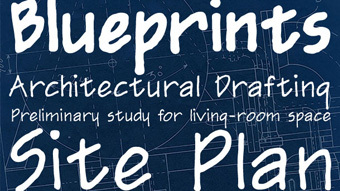 I am a Brazilian architecture student and I am in the final phase of my graduation. Chosen as the theme to build a church in a degraded area of the city of São Paulo, Brazil. As inspiration for my studies, I chose your church project for the Vicariate of Rome. I would like to ask for your help to get some images in order to support my argument with my master Gerson Moura Duarte. Thank you in your help, I will be eternally grateful for his kindness in helping me. I am looking forward to learn about how to apply for work/internship at tadao ando and associates.I hope i could get an email adress or po.box sent to my personal email. I would like to have an email address to send an invitation to Mr. Tadao Ando to participate in a real estate event next April in México City. Thank you for your attention to this matter, I will appreciate your response. 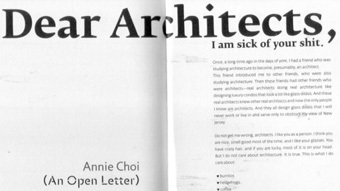 Dear Mr Ando, I’m a student in architecture. I’m 16 years old. I should do a presentation about your 4×4 house (1). Some information is missing as the beginning date of the project and his cost (how it was financed), his sale price. Thanks a lot for your help and your answer. Greetings from Jeonju, Korea. My name is Chang, Woo Yon. I am researcher in Jeonju City Council. I am sending this email to ask you for help in creating a video on ‘Memories of the City’ being produced by Jeonju City. As the traditional culture capital of Korea, Jeonju City is a city where hundreds of years of historical and cultural heritages are integrated including Hanok Village. In Jeonju City, there is a sports stadium building built in 1963. 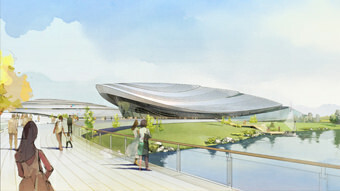 This building is a stadium built by collecting donations from each citizen at that time. It is also a place holding memories and recollections of many citizens such as National Sports Festival in 1980. Here is a place where citizens became one while cheering and letting out their anger. But recently, there is a plan to destroy this stadium and build a large discount store. Worrying that Jeonju City will be a replicated city no different from other cities if the shopping mall is built as planned, Jeonju City is trying to put back the plan to the starting point and recreate the stadium as the park of citizens. Not only creating a park in the city but telling the truth that there used to be a Sports Stadium, we want to change it into a new one. And by preserving the Sports Stadium, we also try to protect the identity of Jeonju City as a historical and cultural city. First, I want you to send us a supporting video about 1 minute long shot by IPhone with regard to the above contents. If it is difficult to shoot a video, second, I want you to agree to our editing and using videos shot by you in the past. As mentioned earlier, the subject of our video is ‘Preservation of Jeonju City Sports Stadium as the history of the city and memories of citizens’. In addition, the purpose of making and distributing this video is a public interest reason and we made the video in order to form and promote a consensus of many citizens. As a researcher studying architecture and urban planning in Korea, I know that you said the history and memories of the city, preservation of modern architecture are very important for our city through a number of broadcast and books. If you are sympathetic to the intent of this promotional video and send a video, it will be a great help in preserving Jeonju City Sport Stadium and maintaining and developing the identity of the historical and cultural city. I am looking forward to get a reply from you. Please feel free to contact me directly if there is any information you may need. i am looking for the email address of Tadao Ando ‘s office , can you help ? Im Jakob, architecture student at the Bauhaus-University in Weimar, Germany, same as most of u guys, wanting to do an internship in Tadao Ando’s office. Whoever has his office’s E-Mail-adress or has any idea where to get it, please let me know! I’m writing on behalf of Mrs Louise Blouin owner of Blouin ArtInfo who is currently in Tokyo and would like to Interview Mr Tadao Ando . We tried hard to find coordinates but couldn’t hence writing on this email address for help. Hope to hear a positive response. Dear Mr. Ando i want to work with you all of my heart. I am a student of architecture in india and really wanted to do internship to your firm. any of the above guys has the E-mail address ,please let me know. LET ME OUT FROM THIS HELL. i’m not speak and write english very well. i’m an architect. i want to build a house for my family. we are a family of 4 persons. me and my hosband and my children. my site is 10*25, and i can (i’m allowed) building only 10*16.5 of it. the east , the west and the north is Abuttals. i can have The North Face A bright 3 * 3.
can you help me for plan design. I am an student of Arquitecture from the University of Zaragoza in Spain. I am contacting you due to the fact that I am really interested in Tadao Ando’s architecture, which has greatly influenced me. His particular vision of architecture has been the reason that has led me to develop around his figure my degree final project. I am atrracted to the relationship that he establishes between his architecture and the natural world and the concretization of the concept Ma in its architecture. 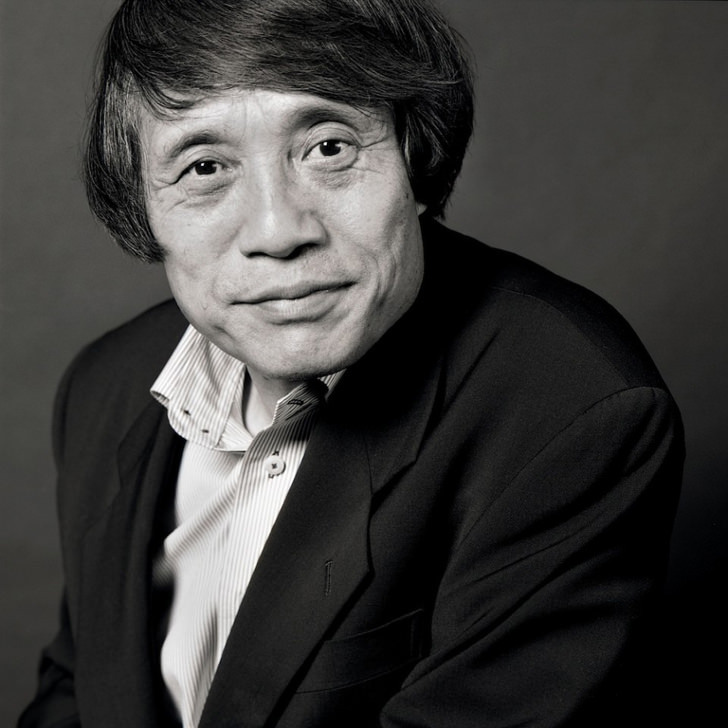 Due to the fact that I am doing a study about his work I refer you to know if it would be possible to contact Tadao Ando or people from his team who could answer some questions. It would be a great help in my work. Could you please be so kind to help me. I am looking for Mister Tadao Ando’s email adress. I have a Le Corbusier project and I would like to talk to him. I am studying in the scholl of Fine Arts in Athens. I am making a project about Peter Zumthor and Tadao Ando for my architect class. 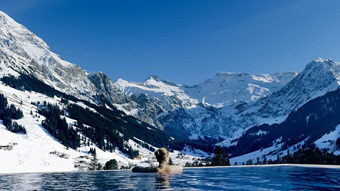 I am thinking of writing about Maritime Museum building and Benessee House. I can’ t find the plots of these buildings at any of my books in the library. Is it possible for you to send me the plots of the buildings or something like this, as the facade? hello im malaysian …where can i get ur email ? Hi i’m urgently looking fr Mr. Ando’s email. I am an 2nd year architecture student and would like to contact Tadao Ando in terms f a project that i have about his work. Hope to get a positive response. I noticed Cosmos design from Venini. 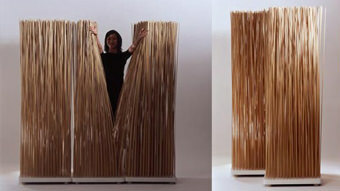 Do you realise you have unwillingly copied a Carlo Nason desing?. Same concept, same proportion. Different is that you split the concept in 4 slices keeping 3 instead of 2. Should you call Carlo Nason to explain? He is a nice person and would just accept your explanation. My name is Riccardo Nuzzi Arch. Design of the firm ITALIAN MARBELLA DESIGN NERONE NUZZI, importer and exclusive distributor of the work of the sculptor NERONE CECCARELLI NP2. presentation of my firm. Could you please give me your e-mail? My name is Patty Kalou (Ypapanti), i am Greek and I have a dream. My dream is to meet Tadao Ando because I admire the quality of his character which is the same as the quality of his architecture. Hope to my dream come true.